Listening to everyone here talk about Wii reminds me that the most important thing was clearly defining our vision. Even if it was a vision without a precedent. That's really true. Without a goal based on a concrete concept, I don't think Wii would have become what it is today. Even from the standpoint of having designed the console's structure, I do not think Wii would be as small as it is now if we had not made the early design presentations at E3 with the goal of making it as thick as 2 or 3 stacked DVD cases. I really believe that we've come this far because of our vision. If you simply repeat the process of building up the hardware specs, then you just end up with higher costs and a larger console. I think a better approach is to have a clear vision, decide what you want to accomplish, and then work towards your goal. The internal fan is another case in which having a clear goal from the beginning allowed us to achieve what we wanted. Because we had the clear goal of not letting the fan spin at night, the LSI team had to minimise the heat released from the ICs (integrated circuits), and the design team had to take into consideration the heat that would be trapped inside. From the point of view of designing the semiconductors, the objective of not spinning the fan was a considerable hurdle that had to be overcome. We already had strict restrictions on the heat that could be released from the ICs due to the small case. In IC development, there are some factors that remain unknown until you actually try to make the ICs, but the time from design to completion is very long. This means that a trial and error approach doesn't work, and doing so would not allow for revisions to be carried out within the schedule. Of course, IC development tools are also evolving and it is possible to perform simulations in advance, but the truth is that development tools cannot keep up with IC evolution and ICs rarely work as predicted by simulations. Another big issue is power consumption, but it's incredibly difficult to accurately predict how much power will be consumed. You're never entirely sure of how many watts will be consumed until the chip arrives from the factory and we can fire it up. For me, these were difficult challenges that I hadn't experienced before. Reducing power consumption is something that's always been considered for handheld gaming devices, but this is the first time it has been thought of for a home console, isn't it? Yes, it is. So we had to rely on the know-how of Nintendo's handheld gaming device team, and the cooperation of the chip manufacturer as well. We also tried to incorporate means of lowering power consumption into the entire system, and not just the IC. It felt like trying to achieve the impossible, but fortunately Nintendo has a history of knowing how to work in unfamiliar situations. A variety of techniques for quickly identifying and solving problems have been accumulated over the years, and I think this was an important factor in achieving our goals. In contrast to the creative vision of the product we wanted to make, we also had the rather practical problem of keeping the costs down. Did you struggle with that, Takeda-san? A simple example of this is the polished-looking design of Wii. Up until now, Nintendo products have used a slightly textured plastic because it's affordable and does not show much wear and tear. However, since we decided that a sleek design would be more suitable for Wii, a high-quality surface has been adopted, although the actual plastic is the same. I think this direction of pursuing sleeker designs will apply not only to Wii, but to all future Nintendo products. Put simply, the appearance of a game console is now more important than it used to be, isn't it? That's right. Of course, we weren't just aiming for a classy look. Rather, we wanted Wii to appear accessible to all kinds of people, instead of just focusing on keeping costs down. So we've created something that maintains the functionality and durability of a toy, without looking like one. And once these two start arguing, they always come to me! Well, that's how something is created over several years, isn't it? We're now nearing the end of the discussion. Could each of you please say a word or two about Wii to everyone who has been waiting so patiently for it? It has already been reported by several media outlets that Wii is different from any previous game console. I think most people have to actually get their hands on it before they understand this difference and just how original Wii is. I hope you all have a chance to experience this for yourselves! We were incredibly conscious of where Wii would be placed within the home when we designed it. I hope that you make it the focal point of your living room and enjoy it with the whole family. Umm, from the point of view of the designer, I would like to say that I hope you use Wii in its upright position, with the stand! 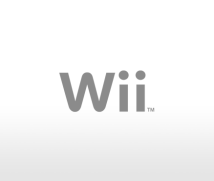 Wii is the first system from Nintendo that we can continue to be involved in (via operating system updates) after the customer buys it. 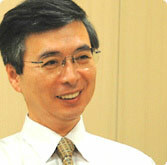 This means that Wii will greatly expand and diversify the ways in which people will enjoy games in the future. I hope you are looking forward to it as much as I am. Thank you very much. After taking this time to look back on what we've done, I have once again felt that all our efforts were worthwhile. I don't know exactly how to put it, but I am feeling quite excited about the future myself.